2 Bedroom Detached Mobile Home For Sale in Padstow for £45,000. 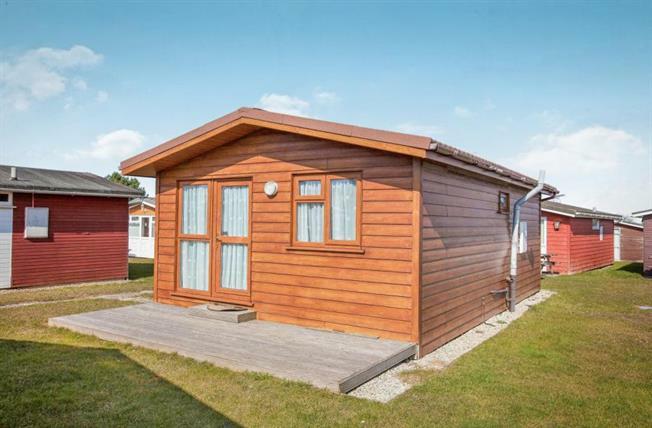 A detached two bedroom ready to let holiday chalet having use of the substantial c.27 acres of parkland, grounds and facilities on the popular Atlantic Bays Holiday Park which has enjoyed significant site improvements and upgrading of services and amenities in recent times. There are several sandy beaches including Constantine, Treyarnon and Harlyn, plus a championship golf course at Trevose all within three miles. The harbour town of Padstow is five miles away. Viewing is highly recommended. No onward chain. Laminate wood effect flooring throughout. Airing cupboard housing instantaneous hot water system. Pedestal wash hand basin, low level corner WC. High uPVC double glazed window to side. Walk in double sized shower enclosure with Mira electric shower. Tiled. uPVC double glazed window to rear. Two single beds and pine wardrobe. uPVC double glazed window to rear. Double bed and pine wardrobe. Patio area to the front with pathway to parking.